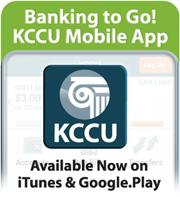 KCCU and MemberDirect® online service now offer the added convenience of banking with your smart phone. Simply log-in with your phone from the Smart Phone banking homepage. It's Blackberry, Android, Windows 7 Phone and iPhone compatible.